I was hoping to create a royal pothole garden to celebrate the arrival of the queen in Canberra, Australia (you may have seen the garden I created to celebrate the royal wedding earlier this year). But alas, Canberra's roads are in such good shape I couldn't actually find a decent pothole! 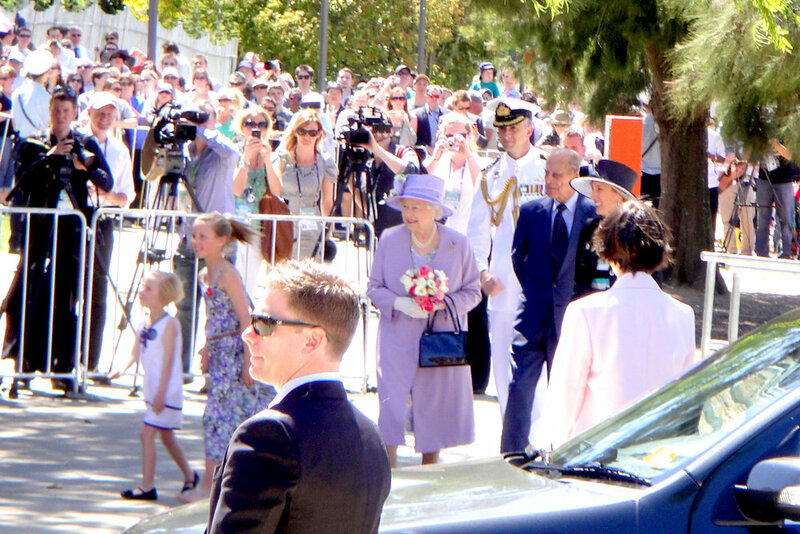 I was did see the queen this morning though, at Canberra's Floriade festival of flowers. She arrived by boat and we even got a wave, much to the delight of the crowd who'd gathered to see her. I visited Floriade recently to get some ideas for some new gardens, here are a few of my snaps. Here's the garden Kate and I created for the royal wedding recently!